WordPress, the leading web software to create and manage blogs and that too offered free, officially announced the WordPress App for Nokia. Others including, Apple, BlackBerry and Android users have been enjoying their moment of time on WordPress. The WordPress App for Nokia has now been made available to download via Nokia’s Ovi Store for mobile apps. Over 25 million bloggers enjoy the free software via the web and we are sure that after the introduction of the WordPress App for smartphone users, bloggers would avail more out of it and that too remotely anywhere. We have noticed that the popular blogging platform has been putting time and energy, making mobile applications smart and working things out for the bloggers. Earlier WordPress had launched mobile apps for both Android and BlackBerry users while also rolling out support for iPhone and iPad. 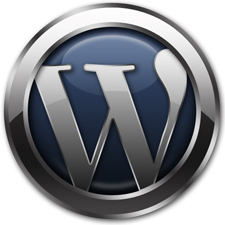 The application currently support WordPress version 2.7. Furthermore, the Symbian3 devices are not supported which include N8, C6, C7 but can be used on the N97 Mini and X6.